For the record, I’m not a big fan of PB&Js (a.k.a. peanut butter and jelly sandwich). I enjoy peanut butter cookies, fudge, and candy bars, but usually not between two slices of bread with jelly. In my thirty years, I can probably count the number of times I’ve had a PB&J on one hand. So the other night when my wife recommended we open a Concord grape wine received from Cellardoor Winery & Vineyards, a thousand thoughts ran through my head in that split second. Concord grapes, peanut butter, Maine… hmmm, how about a pizza and Zin instead? I resisted my inner voice, grabbed the bottle opener, and pulled the cork. I’m glad I did. 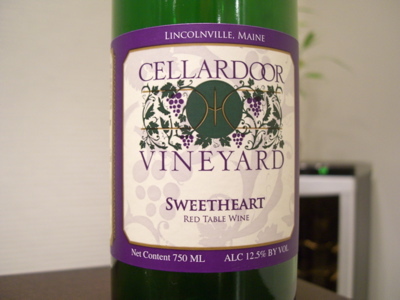 Cellardoor Winery & Vineyards is located in Lincolnville, Maine. I would normally dedicate the next few lines to the wine industry, but would rather tell you why you need to experience Cellardoor for yourself. 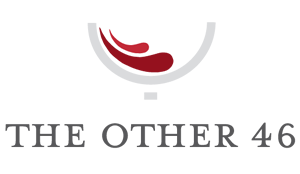 But for those readers who would like a recap on the growing wine industry in Maine, be sure to check out fellow wine blogger, Carlo De Vito’s, excellent post over at the East Coast Wineries blog. With so many wineries coming on the scene in the last 5 years, both domestically and internationally, we will never have a shortage of great wine to drink at all price points. But for me personally, there is more to wine than what’s inside the bottle. The team at Cellardoor is first class. They answer emails, address my questions, and more importantly, share a great enthusiasm for their wine, brand, and industry. As a consumer, I want more than just a bottle of wine, I want the experience. Wineries like Cellardoor are the reason I drink wine and share my experiences in this blog. But wait, what about the wine! Let’s just say my wife was ready to jump on a plane and fly to Maine for a long weekend. The Sweetheart was my first Concord grape wine and will not be my last. As recommended on their website (which by the way, is excellent), the wine paired perfectly with the PB&J. In fact, I’m craving it now. I not only recommend the Sweetheart label, but I strongly urge you to experience Cellardoor for yourself, and be sure to tell them The Other 46 sent you.